Team U5: Soccer for 3, 4 and 5 year olds. 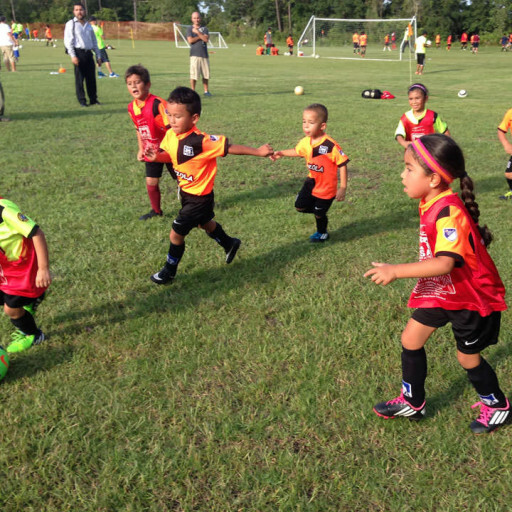 Soccer for 3, 4 and 5 year olds, is an excellent program. Also, it’s one of the most Fun age groups to coach as the kids are like sponges, soaking up everything you teach them regarding the game of soccer. 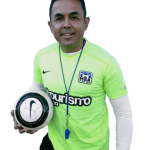 This is a great time to let the young soccer players experiment with the soccer ball and develop their soccer skills and small sided soccer tactics. The young soccer players are very impressionable, so a MSA coach makes a good environment fun with this age group. About emphasis on handling the ball – hand ball, dangerous play. Fun soccer skills and small sided games are the order of the day for Children under 5 years old. This way, they learn to make decisions and become creative soccer players. There are some good examples of soccer skills, soccer practices and small sided games. Also, the coach set up little soccer environments where kids under 4 years old can develop skills and have lots of fun. As well as soccer players under 5 years old. 1 on 1 soccer moves like v-move, step over or the scissors. Basic traps like the sole of the foot and the instep. Instep drive with either foot. Kick in or throw-in – varies with individual league that the kids play in – some leagues play small sided with no restarts – Master of the ball. The most important aspect of this age is about having fun and getting lots of touches of the soccer ball and be able to recognize their team mates and where they need to score the goals. My Soccer Academy coach will have to judge the level of the players. An advanced player would get bored with some of these games but beginning players will have lots of fun because they are just learning the game in a FUN way. 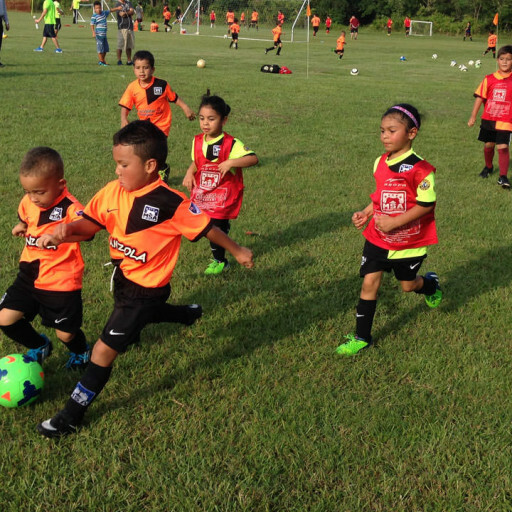 At the U5 age group, the players must learn to dribble in the right direction – towards the opponent’s goal. Also, playing small sided games in soccer practice like 1v1, 2v2 and 3v3 are very esencial for their development. 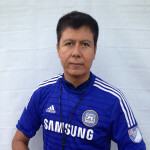 For more information about: Teaching soccer for 3 to 5 years old, our program and scheduling, please contact us. Thank you! 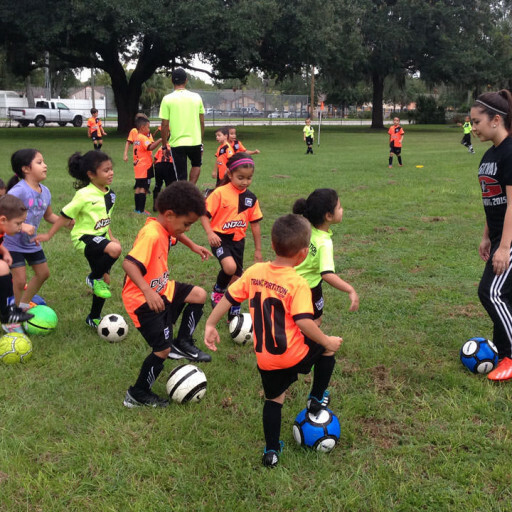 The Kissimmee soccer academy offers an excellent soccer program for kids between 3 to 5 year olds where they learn the basics of soccer in a fun and friendly environment. 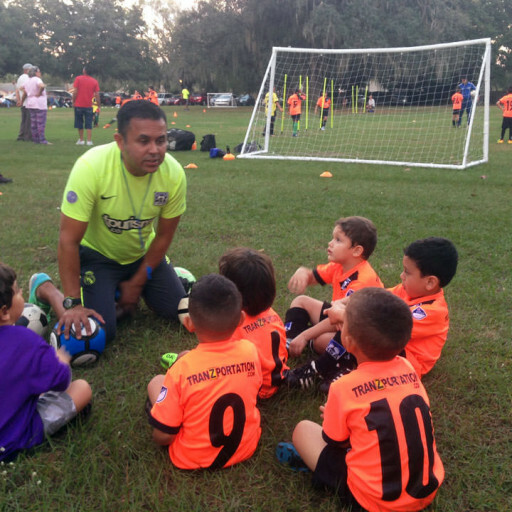 The Lake Nona soccer academy for kids between 3 to 5 year olds, offers a great soccer program where they learn the basics of soccer in a fun and friendly environment.